Normally people who don't know much about the stock market often search for information online. IndianMoney.Com is always concerned about the needs of its investors. To help them in taking the right decision Majority of the people are interested in Stock market investments, doesn’t matter whether they know the basics of stock market or not. There are many factors one has to consider before selecting the right stock to buy. There are more than 8000 stocks, in the market selecting the right one is not an easy task. Methodical analysis is required for finding the right share to invest. Since a beginner lack the knowledge in fundamental and technical analysis of Stocks it is better to approach the companies those who provide Trading Tips on the basis of concrete research. If you don't understand the stock market pulse before investing, probably you will lose all your money. Right now, anyone who does have money in stocks probably feels kind of sick because of how much they have lost. No one can make profits in the market continuously for a long period of time without proper research and analysis. What you buy and how you bye in the stock market is in some ways a function of who you are. If you are an optimist, value investing may be the better fit for you. If you are changing your investment decisions according to the small fluctuations in the stock price, it will lead you to suffer huge loss because consistency is very important to gain profits in the market. Growth investors are those where the investors look for companies with strong projections for growing their sales and earnings. Market price of a stock often reflects investor’s expectation on how profitable a company will be in the future. It the investors follow a growth strategy, which means that they look for companies with strong forecasts of sales and earnings. Growth stocks are those stocks which are expected to increase their sales from one year to the next by at least 15%. Value investors follow a different strategy for stock market investments. Unlike Growth Investors they believe that the broader stock market always overreacts to news about a company. Normally they look for hot stocks that have undervalued and whose share prices are at bargain levels. Value investors invest in the stocks that were undervalues due to temporary problems. Value and growth investors make money when they sell/buy stocks. The difference in these prices is their profit. Contrasting to this dividend investors buy stocks that pay a cash dividend on the basis of number of shares you own. Dividend investors get paid while they hold the stock. Dividend investors look for financially strong companies with the resources to continue paying their dividends, despite of what's happening in the economy. Therefore, dividend investors buy stocks as much for the income as they are looking for capital appreciation. In Intraday trading buying and selling of securities will happen within a day. That is if you are buying any stock in a trading day, you have to sell the same on the same day and vice verse or (if you are selling any stock, you have to buy back the same in the same trading day). Here you cannot continue the possession of a stock for more than one day. Swing Trading is a kind of trading with a time frame of 3 to 5 days. Normally this kind of trading is less risky than Intraday Trading. In comparison to intraday trading swing trading will give you more time to execute and initiate the call. By considering the risk involved in it, intraday trading and swing trading are not advisable for beginners. Short term investments are those investments which range from 1 month to 3 months. These kinds of investments are suitable for beginners because you don’t need to be hurry while buying or selling the stock. At the same time the trader will be benefited with reasonable profit also. Positional/ Medium Term investments are those which are done with a time frame of 3 to 6 months. Positional/ Medium Term investments are suitable for those who are looking to grab profits from the market over a period of 3 to 6 months. If you have the patience to wait for more than 6 months, long term investments will be the better option for you. In this kind of investments the performance of stocks are purely depend on the fundamentals of company. Possibility of losing money because of short term fluctuations in the market can be eliminated in long term trading. Taking the help of professionals will help you to take the maximum out of stock market. 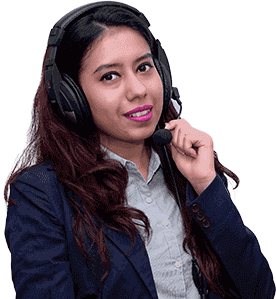 IndianMoney.Com provides you the best and most efficient calls. Subscribe today and grab the hottest stocks. While selecting a stock to invest you should check the P/E, P/S, P/B ratios of the stock. This ratio differs according to the type of investment (i.e. value or growth). In other words we can tell that the ratios suitable for a value investor might not suit for a Growth investor. Below given table will help you in identifying the required rate of ratios. Stocks with valuations in the gaps between the value and growth definitions, say, a P/E of 18 and a P/B of 4 could be in either category, depending on the circumstances. Your research should not end with these ratios, figuring out whether a stock is worth buying is not an easy task. These ratios can help you understand whether a company's shares are cheap or expensive. If they are cheap and under priced these are the best stocks to buy.